The FRITZ!Box 4040 is an entry level IP PBX for freelancers and small companies with 2 to 4 people. 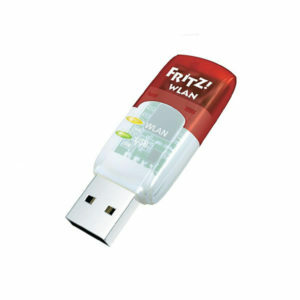 The FRITZ!Box 4040 can easily be connected to any Fiber optic Internet connection or Cable modem via the built-in WAN port. 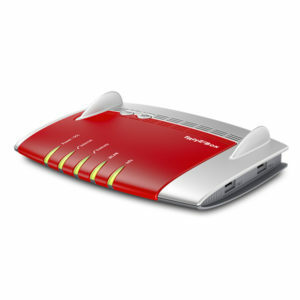 The Box integrates a 4 port router and high performance Wi-Fi. 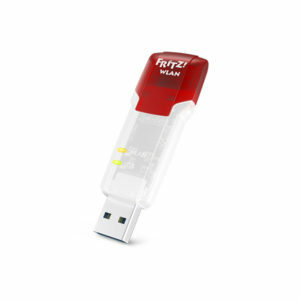 It’s built-in phone system allows you to connect up to 10 IP Phones to your FRITZ!Box or as remote extension phones via FRITZApp Fon on your mobile. Connect securely via built-in VPN to your Home Network even while travelling. 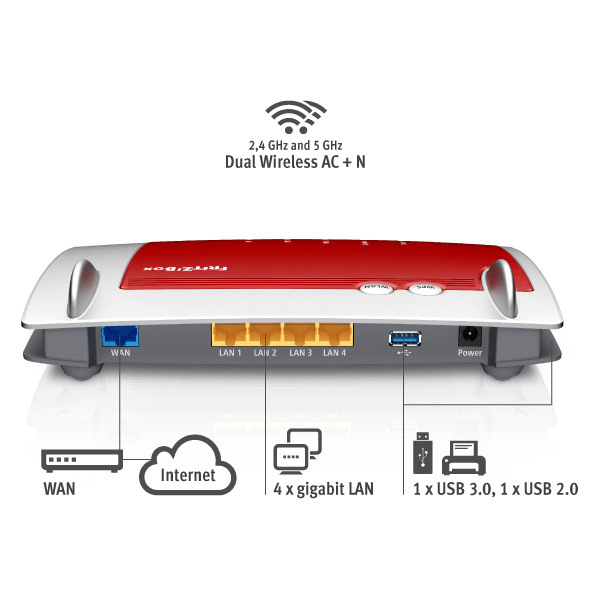 The FRITZ!Box 4040 comes with a build-in a 4 port Gigabit LAN Router, a superfast Wi-Fi access point with speeds up to 866 Mbit/s includes a separate Wi-Fi guest access, a firewall with port forwarding, a full featured IP PBX with Voicemail2email, build-in Fax2email, an after hour IVR that lets customers know about your business hours just to name a few. Moreover you can safely connect your Smartphones via VPN and make them remote extension phones to your office. 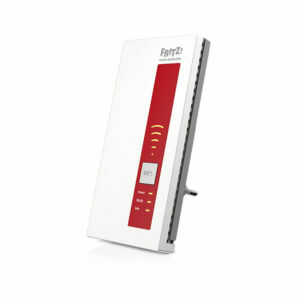 To be able access a FRITZ!Box remotely behind a Cable or Fiberoptic Modem the Modem from your ISP needs to be setup in “bridge mode” The FRITZ!Box will establish the Internet connection with the ISP. The advantage of this setup is all the functions of the FRITZ!Box can be utilized. The following modems in Thailand have been tested and confirmed to be working in Bridge mode in conjunction with all FRITZ!Box models. You will need to fill setup the FRITZ!Box this way behind a DOCSIS connection. If you connect the FRITZ!Box behind the ADSL Modem or an Fiber connection you will need to fill in the Username and Password from your ISP. At some areas TOT is using VLAN. In this case you will need to enter the VLAN ID within the FRITZ!Box as well.